Future plc is a British media company founded in 1985. It publishes more than 50 magazines in fields such as video games, technology, films, music, photography, home and knowledge. It is a constituent of the FTSE Fledgling Index. The company also owns the US company Future US. Founded in 1959 as Record Retailer , it relaunched on 18 March 1972 as Music Week. On 17 January 1981, the title again changed, owing to the increasing importance of sell-through videos, to Music & Video Week. The rival Record Business, founded in 1978 by Brian Mulligan and Norman Garrod, was absorbed into Music Week in February 1983. Later that year, the offshoot Video Week launched and the title of the parent publication reverted to Music Week. Since April 1991, Music Week has incorporated Record Mirror, initially as a 4 or 8-page chart supplement, later as a dance supplement of articles, reviews and charts. In the 1990s, several magazines and newsletters become part of the Music Week family: Music Business International (MBI), Promo, MIRO Future Hits, Tours Report, Fono, Green Sheet, Charts+Plus (published from May 1991 to November 1994), and Hit Music (September 1992 to May 2001). By May 2001, all newsletters (except Promo) closed. Hit Music was a weekly British chart newsletter; sister publication to Music Week. Hit Music existed for almost nine years, supplying the official UK music charts. The founding editors were Graham Walker and Tony Brown. The first issue was published 5.09.1992, the last issue 5.05.2001. In 2003, Music Week relaunched its website of daily news, features, record release listings and UK sales, airplay and club charts. In early 2006, a separate free-to-access site for the Music Week Directory listed 10,000 contacts in the UK music industry. In mid-2007, the magazine was redesigned by London company This Is Real Art. In October 2008, another redesign led to major changes. Music Week features these British charts: Top 75 Singles, Top 75 Artist Albums, Top 20 Downloads, Top 20 Ringtones, Top 20 Compilation Albums, Top 50 Radio Airplay, Top 40 TV airplay, and a number of format and genre charts (Music DVD, Rock, Indie, etc.). It also includes background on sales and airplay analysis from Alan Jones. Following a redesign in October 2008, the magazine introduced live charts based on Tixdaq data, a Box Office chart and predictive charts based on information from Amazon, Play.com, Shazam, HMV.com and Last.fm. Music Week compiles and publishes weekly club charts from chart returns supplied by DJs in nightclubs Upfront Club Top 40, Commercial Pop Top 30 and Urban Top 30. Music Week publishes a weekly Cool Cuts chart compiled from DJ feedback and sales reports from independent record shops. Last.fm is a music website, founded in the United Kingdom in 2002. Using a music recommender system called "Audioscrobbler", Last.fm builds a detailed profile of each user's musical taste by recording details of the tracks the user listens to, either from Internet radio stations, or the user's computer or many portable music devices. This information is transferred ("scrobbled") to Last.fm's database either via the music player itself or via a plug-in installed into the user's music player. The data is then displayed on the user's profile page and compiled to create reference pages for individual artists. Music Week is published weekly (50 editions p.a.). It is available as a B4-sized printed magazine and a PDF digital edition. ISSN 0265-1548. Kerrang! is a British weekly magazine devoted to hard rock and heavy metal music, currently published by Wasted Talent. It was first published on 6 June 1981 as a one-off supplement in the Sounds newspaper. Named after the onomatopoeic word that derives from the sound made when playing a power chord on a distorted electric guitar, Kerrang! was initially devoted to the new wave of British heavy metal and the rise of hard rock acts. In the early 2000s it became the best-selling British music weekly. The Radio Songs chart is released weekly by Billboard magazine and measures the airplay of songs being played on radio stations throughout the United States across all musical genres. It is one of the three components, along with sales and streaming activity, that determine the chart positions of songs on the Billboard Hot 100. "Hole in the Head" is a song performed by British girl group Sugababes, released on October 13, 2003 as the lead single from their third studio album, Three. It was written by Brian Higgins, Miranda Cooper, Tim Powell, Nick Coler, Niara Scarlett, Keisha Buchanan, Mutya Buena, and Heidi Range, and co-produced by Higgins and Jeremy Wheatley. The song was met with acclaim from critics and was a commercial success, entering the top 10 in ten other countries. It became their second single to chart on the US charts, peaking at number 96 on the Billboard Hot 100 and number 1 on the US dance chart. The first Sugababes single to chart in the US was "Round Round", which reached number 7 on the US dance chart. American singer Kelly Rowland has released four studio albums, two compilation albums, one box set, two extended plays and forty-four singles, including twenty as a featured artist and five promotional singles. Rowland began her career in 1997 with one of the best-selling girl groups, Destiny's Child, who have sold around 60 million records worldwide. As a solo artist, Rowland has sold 30 million records worldwide. Building is one of the United Kingdom’s oldest business-to-business magazines, launched as The Builder in 1843 by Joseph Aloysius Hansom – architect of Birmingham Town Hall and designer of the Hansom Cab. The journal was renamed Building in 1966 as it is still known today. Building is the only UK title to cover the entire building industry. 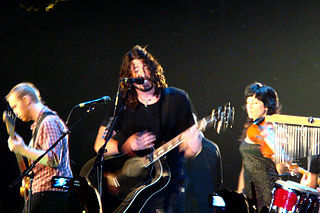 The discography of Foo Fighters, an American rock band formed in 1994 by Dave Grohl, consists of nine studio albums, four extended plays (EPs), six video albums, and 36 singles. The current Foo Fighters line-up consists of Grohl, Taylor Hawkins (drums), Rami Jaffee (keyboard), Nate Mendel (bass), Chris Shiflett (guitar), and Pat Smear (guitar). Building Design, or BD, is a weekly architectural magazine and digital title in the United Kingdom. 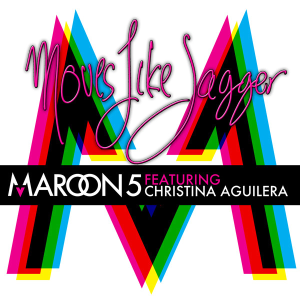 "Moves like Jagger" is a song by American band Maroon 5 featuring singer Christina Aguilera. It was released by A&M Octone Records on June 21, 2011, as the fourth and final single from the re-release of the group's third studio album Hands All Over (2010). The song was written by Adam Levine, Ammar Malik, Benjamin Levin, and Shellback; the latter two are also the producers. "Moves like Jagger" is a dance-pop and electropop song and is backed by synths and electronic drums. The lyrics refer to a male's ability to impress a love interest with his dance moves, which he compares to those of Mick Jagger, lead singer of The Rolling Stones. This is a summary of the year 2015 in British music. 1 2 3 4 5 "Imprint". Music Week. London: Intent Media: 3. 28 October 2011. 1 2 3 4 "ABC Standard Certificate of Circulation (for the 51 issues distributed between 1st July 2009 and 30th June 2010)" (PDF). ABC. 22 August 2010. Retrieved 24 September 2010. 1 2 3 4 5 6 7 8 9 10 11 12 13 14 15 "Imprint". Music Week. London: United Business Media (13 November 2010): 25. ↑ Frank Hoffmann (12 November 2004). Encyclopedia of Recorded Sound. Routledge. p. 2023. ISBN 978-1-135-94950-1 . Retrieved 30 November 2016. ↑ "Intent Media acquires UBM titles for £2.4m". Intent Media. 27 June 2011. Retrieved 29 July 2011. 1 2 "UBM sells Music Week". thecmuwebsite. 27 June 2011. Archived from the original on 1 July 2011. Retrieved 27 June 2011. 1 2 3 "Intent Media acquires Music Week". Music Week. 27 June 2011. Archived from the original on 30 August 2012. Retrieved 27 June 2011. 1 2 "Imprint". Music Week. London: UBM (30 July 2011): 29. ↑ "Imprint". Music Week. London: Intent Media (6 August 2011): 25. ↑ Stuart Dinsey. "New owner, new publication date...a message to Music Week readers". Music Week. London: Intent Media (6 August 2011): 4. ↑ "NewBay Media Acquires Intent Media Limited | NewBay Media" . Retrieved 2018-04-21. ↑ "PennWell Corp. and NewBay Media Acquired By UK Firms". Folio:. 4 April 2018. Archived from the original on 2 September 2018. Retrieved 1 September 2018. ↑ "Future acquires Music Week publisher NewBay Media". www.musicweek.com. Retrieved 2018-12-19. ↑ Burrell, Ian (28 July 2015). "As Amazon moves into streaming, what difference does it make?". The Independent. Archived from the original on 6 February 2016. Retrieved 5 February 2016. ↑ Stassen, Murray (2 July 2015). "BMG acquires rights to Buddy Holly catalogue". Archived from the original on 9 July 2015. Retrieved 5 February 2016. 1 2 3 4 5 6 7 8 9 10 11 "Imprint". Music Week. London: CMP: 36. 11 October 2008. ↑ "Murray Stassen promoted to Deputy Editor of Music Week - News - Music Week". www.musicweek.com. Archived from the original on 27 June 2018. Retrieved 27 June 2018. ↑ "Contacts". Music Week. Retrieved 3 July 2011. ↑ "Music Week - former deputy features editor joins BMI". 12 May 2014. Archived from the original on 30 June 2017. Retrieved 5 February 2016. 1 2 3 4 Tobias Zywietz (27 April 2005). 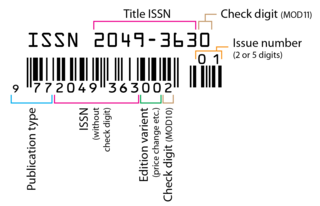 "British Chart Books Classified : BDC 2005" (PDF). www.zobbel.de. p. 22. Retrieved 30 October 2011. ↑ "ABC Standard Certificate of Circulation (for the 51 issues distributed between 1st July 2007 and 30th June 2008)" (PDF). ABC. 21 August 2008. Archived from the original (PDF) on 27 March 2009. Retrieved 12 January 2009. ↑ "ABC Standard Certificate of Circulation (for the 51 issues distributed between 1st July 2008 and 30th June 2009)" (PDF). ABC. 24 August 2009. Retrieved 22 February 2010. ↑ "Product Page Music Week". ABC. 30 October 2011. Archived from the original on 14 July 2014. Retrieved 30 October 2011. ↑ "Online Property Certificate of Activity for the period 1 October 2008 – 31 October 2008" (PDF). ABC. Retrieved 22 February 2010. ↑ "Music Week.com Product Page". ABC. Retrieved 22 February 2010.